My first one-day was a complete eye opener. After my brain and heart were challenged, I realized that after 25 years, I still had a lot to learn. I have had the privilege of traveling, speaking, and training people, but I needed more tools to help me build wealth and go to another level. 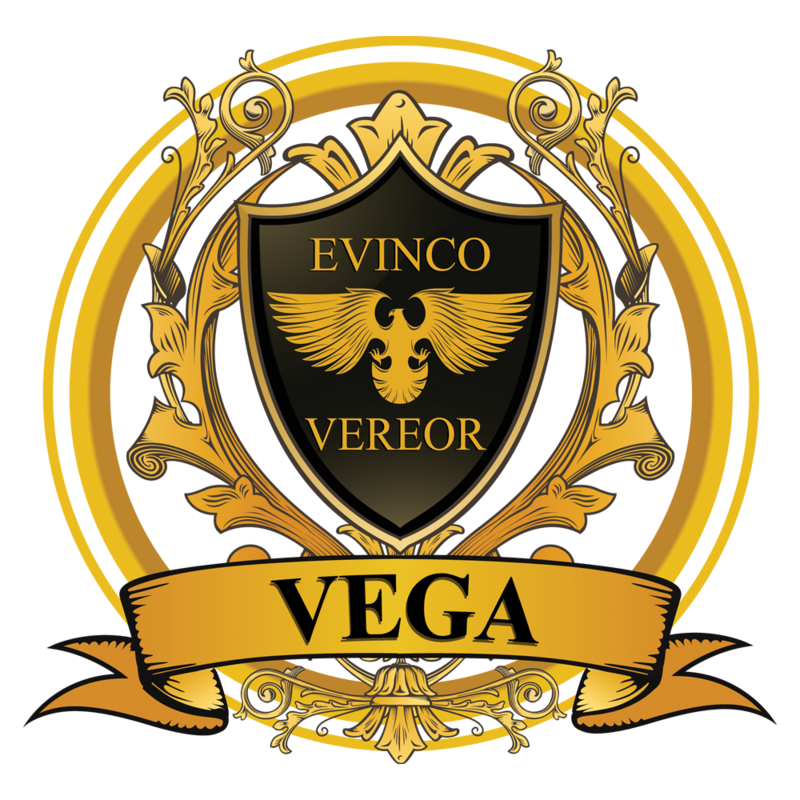 Mr. Vega has helped me to explore new innovations and to find another stream to reach my destiny and legacy. I am writing three books and developing (2) new products. Thanks Dan. I was an unemployed Legal and Medical Secretary. My total income for 2009 was $189.00, which I used to buy myself a one-way ticket from Cleveland to California to take over a business – which was grossly misrepresented financially by the sellers. I got out but was very disheartened and numb. Per chance, I stumbled upon a Dan Vega Seminar when looking for a seminar for my 19 yr old son. I then attended a seminar for a public speaking position. I was DISILLUSIONED, TIRED and UNEMPLOYED in May 2010. WITHIN 5 weeks by June 17th after the Dan Vega seminar, I talked myself into an Elite 100% commission sales position of Intangible Business SVCS that I had never heard of before the interview. They said they liked me but never hired anyone without 6 months of industry experience. I used only what I learned at the 1-day seminar to GET HIRED! Using only the info from Dan Vega, I closed my 1st call and generated sales of $18,765 with $5600 cash downpayments and $13,165 being residual sales in ONLY 4 days TOTAL of $840 for a total of 6hrs. Total on the phone selling and closing according to the 4 personality types taught by Dan Vega. I plan to use my earnings to get my son in to one of his classes immediately and myself as well by December, 2010. Needless to say my self-worth and net-worth has soared and continues to do so. Success for me REALLY DID HAPPEN IN 1 DAY! Thanks to the entire VEGA team! Dan’s class totally exceeded my expectations. The A-Z Business Training Course has given me new momentum, both personally and in my business. No one else comes close to delivering the same caliber of information – at any price – and I’m grateful for Dan’s generosity. What I learned in those eight hours has already started to spill over into profits and I can see I’m finally on the fast track to wealth. I began my journey of financial education with the reading of one book, Rich Dad Poor Dad by Robert Kiyosaki. It flipped my perception and taught me what to think. I became a voracious learner and began consuming all of his literary works. After devouring them, Robert Kiyosaki was the benchmark by which I compared all other authors, teachers and business men. I began reading everything entrepreneurial related from the classics like Think and Grow Rich by Nepoleon Hill to Secrets of the Millionaire Mind by T. Harv Eker. Although they were enlightening, none had as large of an impact on me as Robert Kiyosaki. That was until I attended your training and listened to your unique style of teaching. The previous texts taught me what to think. Afterwards, I was pumped up and ready to go. However, I did not know what to do. I was armed with this knowledge but did not have actionable steps to take afterward. I was left to my own devices to figure things out. Your teaching is more of a mentorship than a conceptual change of perception. Mr. Vega, you are now my new benchmark by which I compare all other authors, teachers and businessmen. I learned more from you in 5 days than I have from any of the books or audios I have purchased in the last 3 years. You have truly impacted my life in a positive way with knowledge, principles, and actionable information I can use for the rest of my life. Thank you for the enlightenment. Dan is different. Dan will not motivate you! Instead he will inspire you to find your own motive. Dan Vega isn’t afraid to give real information and to share both “what’s” and “how to’s” during his entertaining seminar. I walked away with a plan of action to no doubt, make me more successful in life. Thanks for sharing Dan! Dan’s approach and program is far more comprehensive than anything I ever expected. The day long session flew by in no time. The take aways I got was more than motivational, more than goal oriented, more than business plan or a life plan. The day was a complete compilation of all of the above. Dan is a great speaker and he believes in what he knows. Action speaks louder than words. Dan Vega doesn’t motivate he shares what mental and physical actions we can take to shift, create, and develop new steps to success. Why we do what we do because of our perceptions and how to eliminate dis-empowering thoughts and develop strategies to bring our vision to fruition. Thank you Dan. The innovation in this course is invaluable. I can’t stress the quality of the content. If you’ve ever thought about starting a business, this is the only class on the market that will get your monies worth and more. I learned more in one day with Dan than 8 years college! Get a PhD on Life! Anyone who wants to go into business, sales, or start a business should see Dan. You will learn more about yourself and business abilities in one day than you learned in many advanced college courses. If you want to change and succeed this is a perfect first step on the path to prosperity. Dan is the man to business understanding and planning. Mr. Vega is nothing short of sensational! Not only is he a marvelous presenter, he has truly inspired me so much that there aren’t enough lines on this page to share all of my “revelations” and excitement. I am thrilled at the opportunity of possibly becoming not only a seminar leader/speaker, but also with being just associated with him (and all of you – his associates). I am the owner of the corps of rediscovery. While traveling in a motor home full time with my family I decided to create my business. My wife and I started fast with a niche in business no one else had. After 3 years we became stagnant and stopped growing. We remained stagnant for 4 years until now. Empowered by the knowledge provided by Dan Vega, I am revived and have not only direction for growth but the food needed to grow my business. With Dan Vega’s help I feel I have all the business tools and motivation to be an entrepreneur. Any single day of this course was more valuable than the cost of all 5 days. There was such an amazing comfort level in the class amongst the students and Mr. Vega. All week I have been telling people what I am doing and how amazing I feel. I can’t wait to recommend this course to everyone I know…Actually, not recommend, INSIST. I guarantee this course changed the lives of 100% of the people involved. I came to this course with very high expectations honestly. I wanted to learn as much as I could to be able to turn my life completely around. I can definitely say I was far from disappointed. In fact, this course was so inspiring that I promise in six months my life will be completely different. I have the tools I need to go out and implement dreams and visions I have into reality! Thank you so much for this priceless gift Dan. What an awesome course! This has been an absolutely amazing experience. I feel as though I have traveled from 0-150% in 5 days. My way of thinking from the time I walked through the door the first day to the end of the course on the 5th day, don’t even closely resemble one another. You have helped give me such clarity. How can I ever thank you enough? You truly have remolded my small way of thinking. Thank you so much Dan! The course is nothing like I have ever taken. It was an eye opener. This has made my business plan grow 4000%. I think anyone that thinks something is missing from their life, needs this course. This class has given me direction, and the tools to change my life. Dan taught me things in days that I may have never learned when in college. I know that I can go out into the world and make my mark and that’s exactly what I intend to do. Thank you Dan! You’re the man! What I learned in the last 5 days is invaluable information. I have a new and definitely improved outlook in every part of my life. The business tools and knowledge would have taken me years of failures and successes to build. I am 100% more business knowledgeable and self aware. Thank you so much Dan for sharing your knowledge and experience. I am a better person today than yesterday!! Life changing! I had goals, but they seemed always just out of vision and reach. Now, not only do I have far better goals for my life but a map, multiple vehicles and the tools to achieve them all. Wow! You must do this course, it is invaluable. Thank you Dan! WOW! Dan Vega’s 2-day boot camp seminar was fantastic! Dan has a special gift when it comes to sales, marketing, and starting/improving business. I do recommend his seminar to anyone who wants to start or improve their business of improve their level of success whether it be in the business world or life in general. Dan has been so successful that he doesn’t need to work another day in his life. He does these seminars simply because he enjoys helping people be more successful in their lives. Great job! I have attended several conferences that promise the attendees knowledge and worlds of opportunities but couldn’t deliver. This boot camp not only delivered on that promise, but left most of the people hungry to start their own business. I had the pleasure to witness something extraordinary at the end of this event. Everyone who remained was not motivated, but empowered to succeed. People who had started feeling like the world had abandoned them were grabbing the bull by the horns and demanding success. I would wholeheartedly recommend this to anyone who is looking to take control of their life and accept all the opportunities they can create for themselves. This meeting was absolutely mind-boggling. It has encouraged me to look for something for me to really put my hands to. I desire to be a blessing in capacities that are beyond what I can do now. This helps me to set my sights higher. I didn’t know what to expect coming to the meeting. Would it be an 8 hour sales pitch or what? Well it was a refreshing presentation of facts and ideas that we found to be informative and inspiring. We hope to have opportunity to hear more in the future. Dan Vega is very inspirational. He gives information that is useful and insightful in helping a person make a difference in their lives. His honesty and forthrightness is a refreshing change from so many other “motivational” speakers that want to sell you ideas but not help you reach your goals and potential. Dan is just the opposite. He is a real person with the desire to see people succeed and the willingness to help them. I have enjoyed his seminar very much and look forward to seeing more of him and being friends with him in the future. I’m excited I’ve never heard anybody teach on this level of business before. It’s full of knowledge and information. I really benefited from this one-day boot camp and I really want to link up with Mr. Vega. I know my company can benefit and grow from his. The business boot camp was an excellent opportunity to take a look at my business and myself and evaluate my vision and determination. I took away valuable information about business and really getting to where I want to be. Dan touched base not only on business topics but also life topics. Very informative and very professional. Great ideas, great motivation, and great teacher. A must see! Exceptional learning experience, extremely useful information both professionally and personally. Dan is enigmatic and a great communicator. The thing about Dan Vega which makes it today’s #1 information on business is that it not only teaches you about business it teaches you about life’s ever changing curve balls and how you can make a change and a difference in you! I believe that this program will be amazing and is what should be taught in every business school. I look forward to taking this course myself. Fast paced and entertaining. Dan could do stand up comedy. The day was rich with great information. He has the ability to elevate me to a higher success, that place which eluded me in the past. He shared details that could take years of hard knocks to figure out. Why reinvent the wheel. Dan provides the latest, cutting edge insight that makes great success look simple. Love the pocket promise! Enjoyable, powerful, and great information. My mind is open to unbelievable success. Dan Vega’s seminar has opened ideas and thoughts in business realms I never considered before. And that is in just 7 hours. I imagine what I could learn from his full course. I learned a lot and confirmed what I already knew. I want to know more or how I could do this. How to Achieve Any Goal was worth the whole day and I was most effected by it. A wonderful learning experience with lots of fun. The information gained in the one-day is equivalent to a semester at the college I just graduated from. Dan Vega has a great deal to offer and a wonderful way to offer it. His perspective and tools are enabling at a very high level. I completely enjoyed the presentation, the entire day was filled with suggestions and brilliant insight. Accountability and responsibility for our own progress is key and was presented in a simple and entertaining way. Great use of history as a metaphor for today. Excellent! Right on about begin with the end and work backwards even to the point of picking the appropriate personality for type of business. This is powerful and though it is mind blowing can change your perspective on yourself. I thought the one day seminar was great! It was filled with humor, great insight and points to achieve our goals. Thanks Dan and team! Great program. Very informative. I never thought about this the way Dan illustrated today. I enjoyed the program very much and I am sure tools that Dan gave me today would come extremely handy. Thanks. I believe the information I gained from this Seminar will change my life and my business. Thanks! Wonderful information! A weeks worth packaged into one mind blowing day! Wow! I think the class was very insightful and gave valuable information that I wouldn’t of received anywhere else. This was awesome! Learning what a promise can do to change your life. Dan Vega has great energy! Awesome information! Truly a Business “Boot Camp”! Loaded with information. I received practical tips to grow my business now! I’m also motivated towards excellence in personal development, expanding my vision and attaining my dreams. Thank you Dan! This course has shown me that in order to change the way you think, you must understand how you think. Then once you realize how to change your thinking, you need someone of a higher level to show you how they perceive events in their world. Which then explains to us why they took the actions they did for events in their life. Finally, these actions that were taken will show us the results they got. Thanks Dan, I get it! I think this is a very important class to take if you are wanting to start a business or running a business already because it helps you in every area of business. It also shows you how you can have a successful business with the way the economy is today. Dan Vega is a good mentor as well as teacher and is a fun person. I’ve been conducting training programs, personal development, and business consulting for the past 24 years and above anything I have ever attended. If you are interested in explaining your comfort zone, strengthening your self-image, dealing with the fear of failure, or for self confidence, you need to be in this program. Had to come to catch vision and get some direction. Have to make some changes and decisions. Got a bigger vision, directions as well as correction for my life. I do know where the problem is. This program was fantastic! It taught me that the personality types of potential employees can makes a huge difference in my companies bottom line.